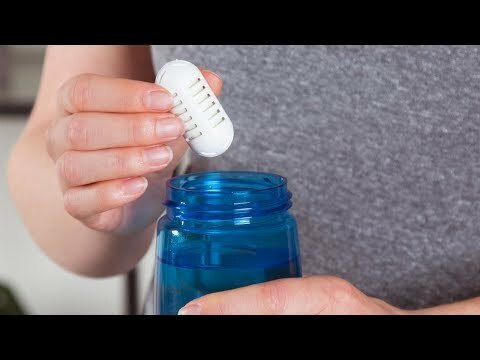 Use this little water enhancer to purify tap water in a bottle for on-the-go drinking or in a pitcher for the whole family. GoPure’s porous ceramic absorbs impurities and releases trace minerals to balance the pH levels. And it uses an all-natural, fine-grain rock (Diatomite) to filter out lead, arsenic, chlorine, and other contaminants you don’t want in your system. It’s a portable solution for potable water. Water tastes good when it has been filtered, but even better when you’re helping the earth a little bit.